﻿Nick Williams has taught Physics, Engineering, AVID (Advancement Via Individual Determination), Biology, and Earth Science at San Marin High School since 2007. He's been the Science Department Chair since 2011. Prior to coming to San Marin, he worked as an environmental monitor in Sacramento and a summer camp director near the Russian River. During his time at San Marin, he's coached ultimate frisbee, freshmen girls volleyball, and JV and varsity boys soccer. Mr. Williams earned his Bachelor of Science in Evolution and Ecology, his Teaching Credential in Science, and his Masters of Education from UC Davis. He was selected as the 2014 Bay Area Educator of the Year by the California League of High Schools. 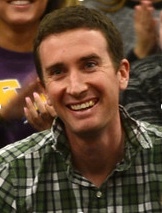 In 2015, Mr. Williams was named a Milken Educator for California which is described as the "Oscars of Teaching." Mr. Williams grew up in Oakland and currently lives with his family, including his wife, three kids, and dog, in Novato. In his spare time, Nick enjoys playing with his kids, running, hiking, reading The New Yorker, playing ultimate frisbee, going to the beach, building things, and working in the yard. 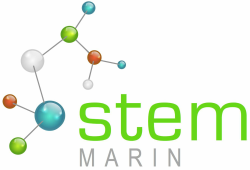 You can find Mr. Williams' STEM Marin Physics and Engineering page that includes links to all of the current students' websites at SanMarinScience.Weebly.com. Shea Mathews has been teaching Biology and Biotechnology at San Marin High School since 2016. She earned her Bachelors degree, Teaching Credential, and Masters of Education from Boston College. Ms. Mathews is a native of Marin, growing up in Belvedere. Virginia Vogl has been teaching Chemistry, AP Chemistry, Biology, Earth Science, and Leadership at San Marin High School since 2007. Mrs. Vogl has also served as the coach for both the boys and girls cross country teams. 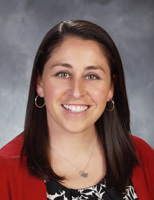 Mrs. Vogl earned her Bachelor of Science in biology from Sacramento State and her Teaching Credential in Science from Sonoma State. She was selected as the 2015 Bay Area Educator of the Year by the California League of High Schools, giving the San Marin science department and STEM Marin consecutive Bay Area Educators of the Year. She was selected as San Marin's Golden Bell Teacher of the Year in 2017. Mrs. Vogl is a Novato native, growing up in town and attending Novato High School. She currently lives with her family, including her husband and two children, in Novato. In her spare time, Virginia enjoys running and spending time with her kids. Claudio Tronconi has been teaching Senior Project Engineering, Environmental Engineering, CAD/GIS, Biology, and Physics at San Marin High School since 2015. Mr. Tronconi lives in Napa with his wife.